I can't believe I have made it this far without posting about risotto! 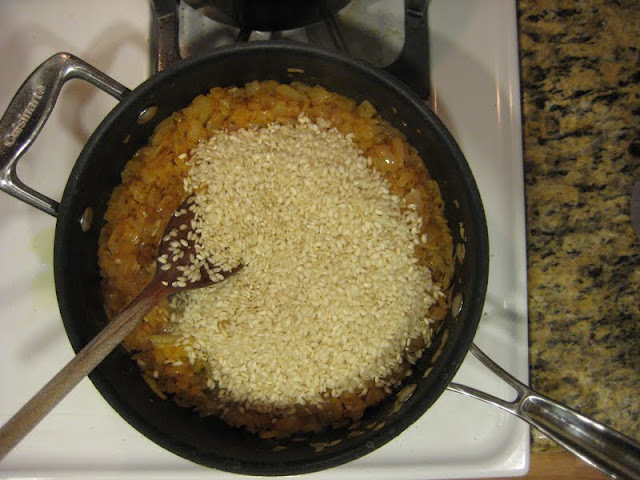 It is one of my favorite dishes to make as it can be very versatile. 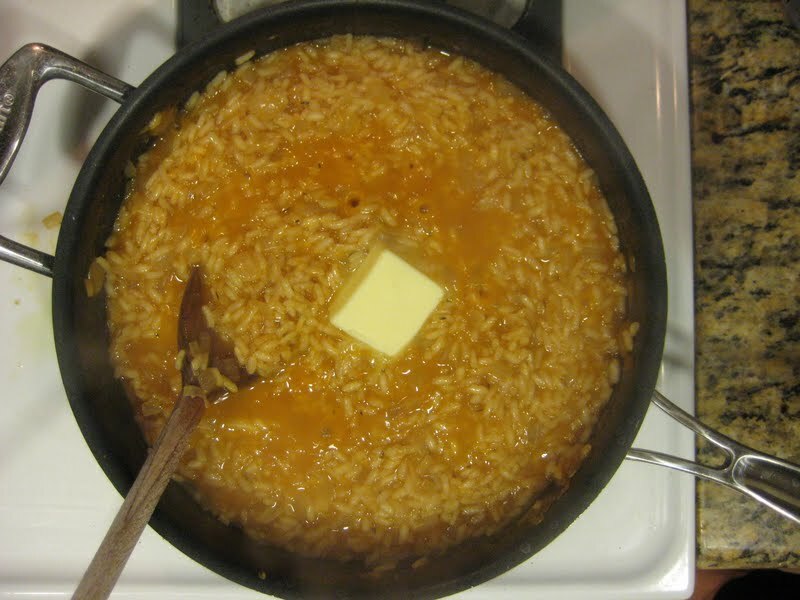 This demonstrates a "basic" risotto just using extra onion and a bit of tomato flavor. 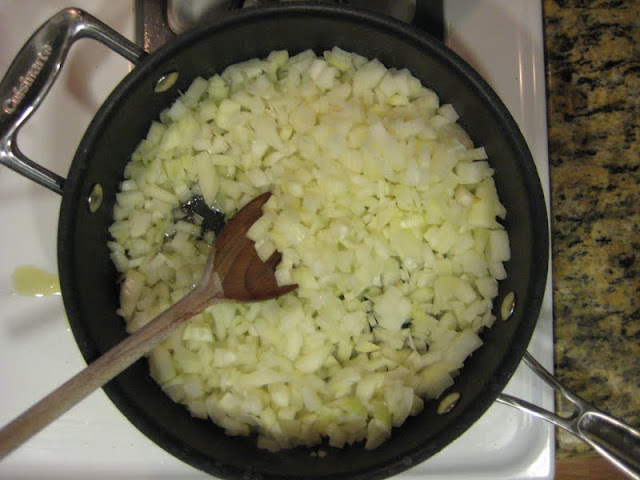 In any risotto you will always start with onion, but because I didn't add any additional veggies or meat I upped the amount of onion. As well please note you will have to begin cooking 5-6 cups of your choice of broth as you start your risotto. I obviously use vegetable broth, but you could use chicken, beef whatever. The broth choice could compliment your other dishes you are serving. As well you will need to add a bit of wine, but again just use whatever you might have....once I used beer because there was no wine in sight. If you are making a special risotto try champagne! 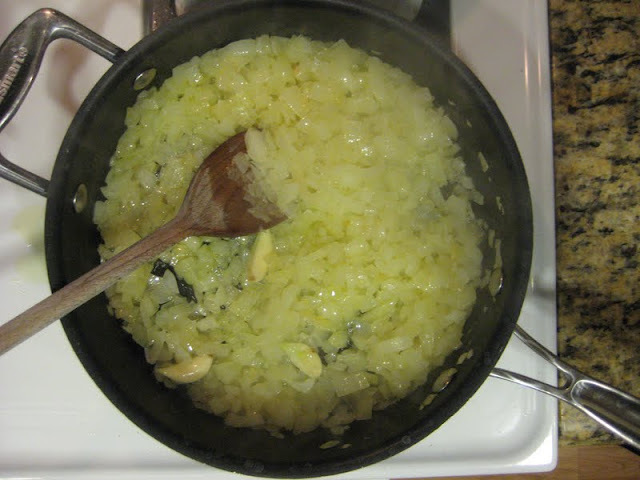 I think risotto while it is a humble and satisfying dish, is also very special. You have to really stand there and watch it, you can't really set it and walk away as you are constantly stirring and adding broth while it cooks. So a lot of attention and care goes into its preparation. I recently read about a famous "engagement chicken" recipe where if you make your man this chicken he will propose. 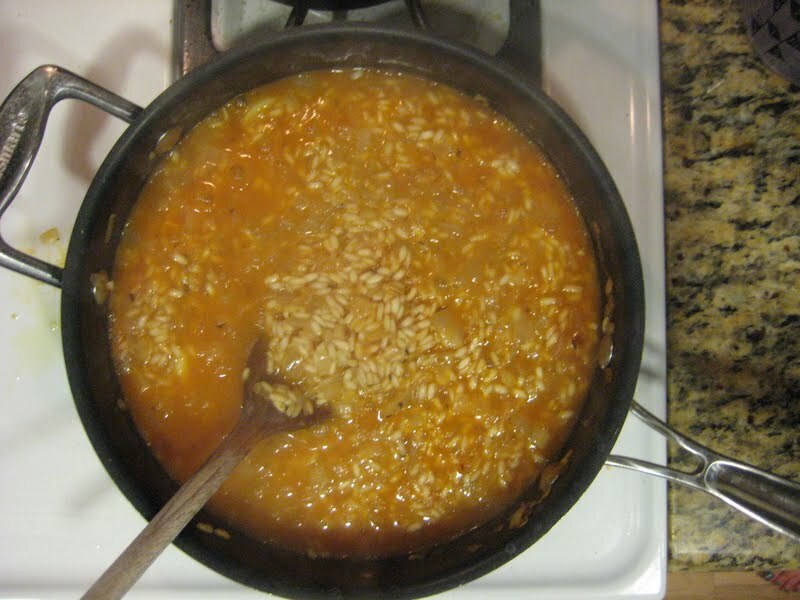 I think any risotto could be considered an "engagement" dish, because anyone you make it for is sure to feel loved.